Want to get home-grown spices in the middle of winter? Eat fresh vegetables in the spring? Sow in the summer to harvest in the fall? 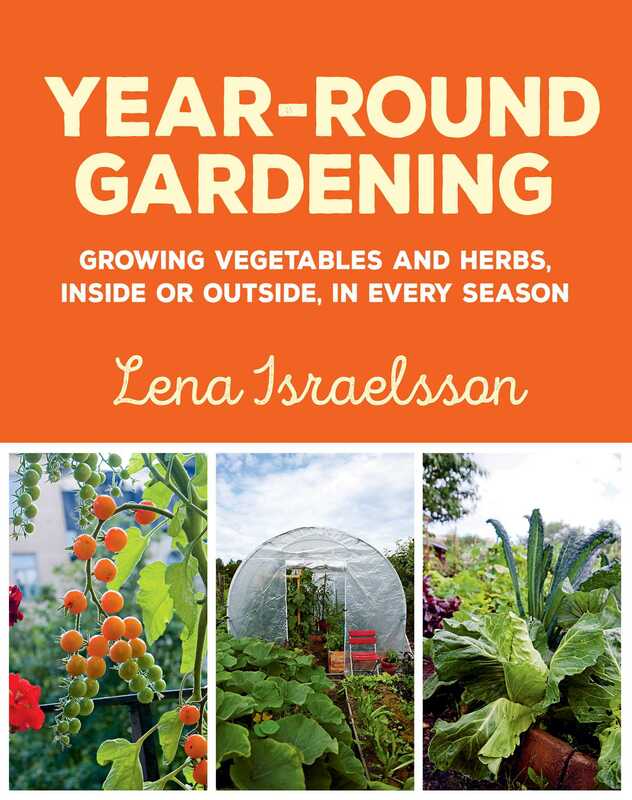 Lena Israelsson's book, Year-Round Gardening, is a practical guide for those who want to extend their growing season. And double, perhaps triple, their harvest. Growing year round is possible, and this book can teach you the best methods to do it the right way. Year-Round Gardening includes inspiring and expert tips on which vegetables, herbs, and spices suit the different seasons. Certain plants can even be harvested in the middle of winter if handled correctly. Others, like microgreens, herbs, and hydroculture, can create the perfect indoor gardens. This book will teach readers to know the difference between cold and hot weather plants, which growing methods are best suited for different plants, and when to plant and harvest. They’ll learn about sowing; coverage with plastic, glass, or fiber weaves; and fertilization—creating a fruitful and fertile soil is the linchpin of all cultivation and one of the book's most important parts.